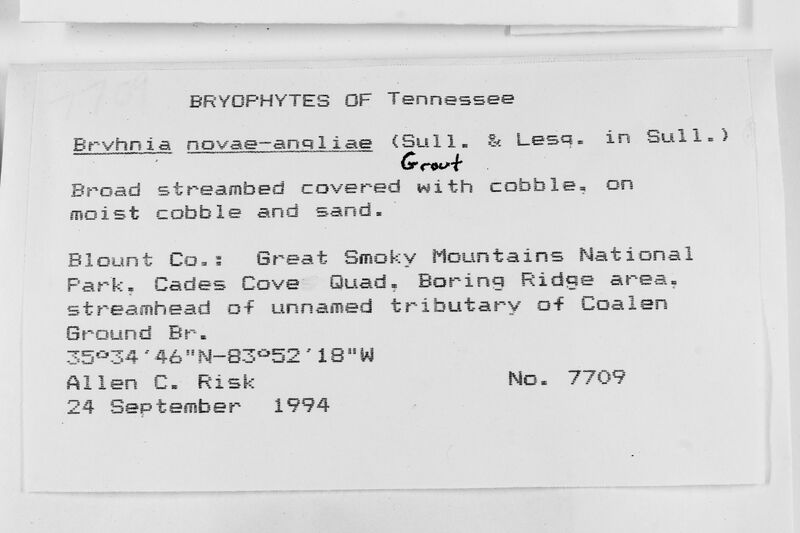 Locality: United States, Tennessee, Blount, Great Smoky Mountains National. Boring Ridge area, treamhead of unnamed tributary of Coaien round Br. Habitat: Broad streambed covered with cobble.